For some reason, my 135is came with ugly yellow halogen bulbs in the halo rings, even though there's a nice xenon colored LED strip at the top of the headlight. The mix of LED and ugly yellow halogen annoyed me so much that a year after getting the car, I got LED halo bulbs to make everything match. Yay. 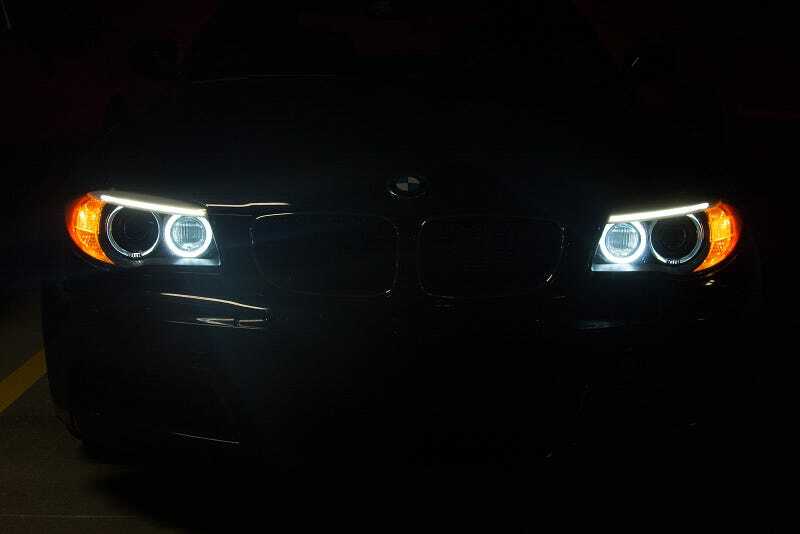 There seem to be tons of different options for LED halo bulbs for BMWs, from ebay items of questionable provenance to adjustable color kits with ballasts and other stuff for like $150+. These are $25 each from superbrightleds.com. I've gotten other LED bulbs from them in the past so figured this was a good compromise. Here's a comparison shot, LED on left and halogen on right—as if it wasn't painfully obvious.